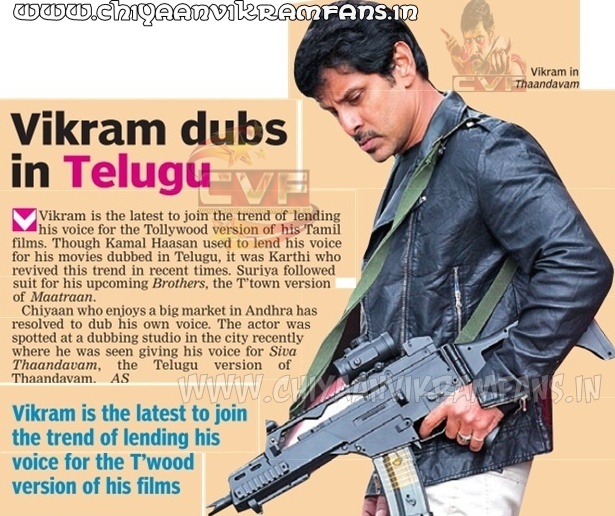 Chiyaan Vikram is the latest to join the trend of lending his voice for the Tollywood version of his Tamil films. Though Kamal Haasan used to lend his voice for his movies dubbed in Telugu, it was Karthi who revived this trend in recent times. 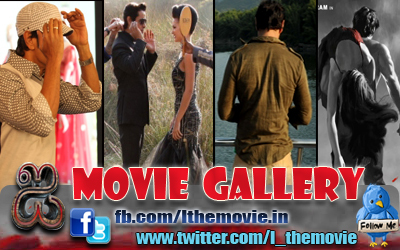 Suriya followed suit for his upcoming Brothers, the T'town version of Maatraan. Chiyaan who enjoys a big market in Andhra has resolved to dub his own voice. The actor was spotted at a dubbing studio in the city recently where he was seen giving his voice for Siva Thaandavam, the Telugu version of Thaandavam.